I'm so happy I was on vacation this week and really had the chance to play with my new Silhouette Cameo. Here is another print n cut card, the background is a tag from Echo Park's Winter Wishes digital collection. I traced the kids sleigh riding and placed it on the tag in SSDE and printed and then cut on the cameo. The Merry & Bright, Shine and Spirit are all elements from the collection also. I love the brightness of the kids against the soft winter background. You can download the digi of the kids free from here. To finish I wrapped some Grape Fizz Trendy Twine around the tag. I thought this freebie was so adorable I just has to create a print n cut card with it using my Silhouette Cameo. I traced it in SSDE and created an offset and filled it with digital paper from Carta Bella's Devoted paper. 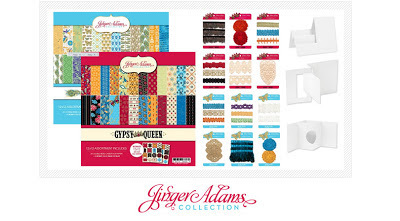 All the other elements and background paper is also from the Devoted collection. The pnc on the Cameo is just so easy, what a pleasure to work with. I also used a touch of Trendy Twine Cotton Candy, I ordered some of their new colors and can't want to get them!! I almost forgot click here for the free download, there is a bunch of awesome freebies there. Winter Fun New Year's Card! 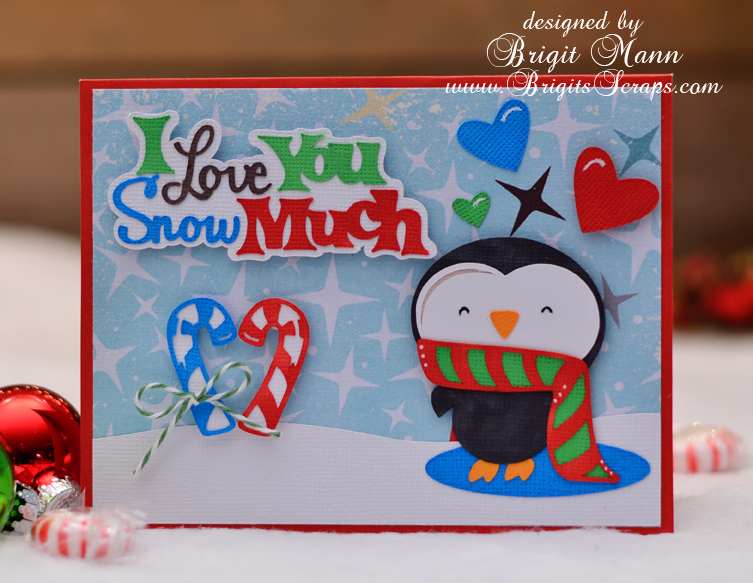 I made this card quick for the Carta Bella Winter Fun challenge on their Facebook page. It's all digital paper and elements from their collection, I used my silhouette cameo to do a print n cut on all the elements, so simple. Up until now I really never used the elements from the collections I bought but now that I have the cameo I'm having so much fun cutting them out. For the numbers I created a shadow layer and trace around each one. I did the same thing with the buttons layering them on top of the tag and then tracing. I threaded some Peppermint Stick Trendy Twine through each button. Looking through my SVG Cut files I came across the Memory Garden Designer Page, I love this kit and haven't used it in awhile. Though this kit is great for scrapbook pages I bought it for card making, it has the best shapes for creating nice layers for your cards. The top layer of this card is from the kit, even has the stitching where I used my Berry Red Trendy Twine. 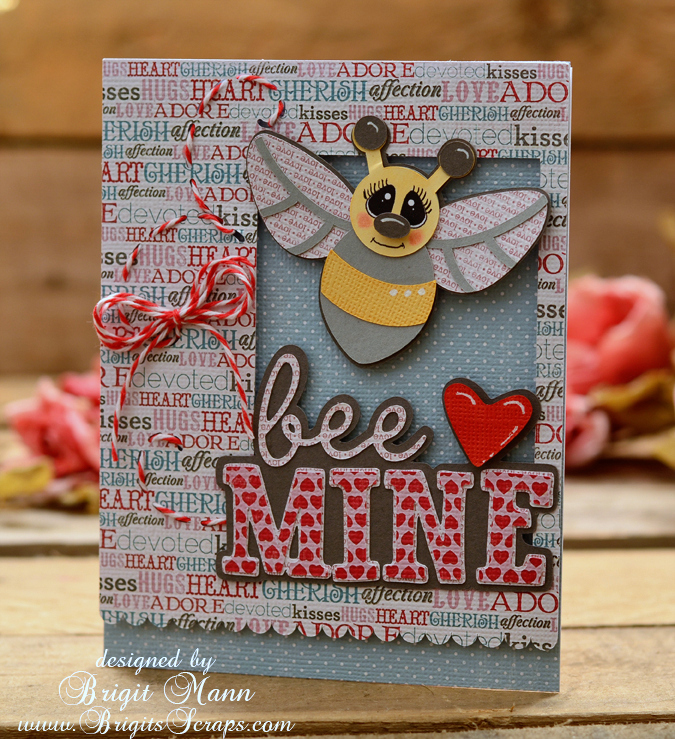 The bee is from Cheryl's Cute Bugs and the bee mine is from the 24 Valentines kit. I altered the bee mine, I made a copy sliced the e and added making it bee, make a shadow and welded it to the existing shadow layer. The digital paper is Carta Bella's Devoted, isn't it so pretty, totally love!! This stamp is from Unity's December KOTM and so is the sentiment. 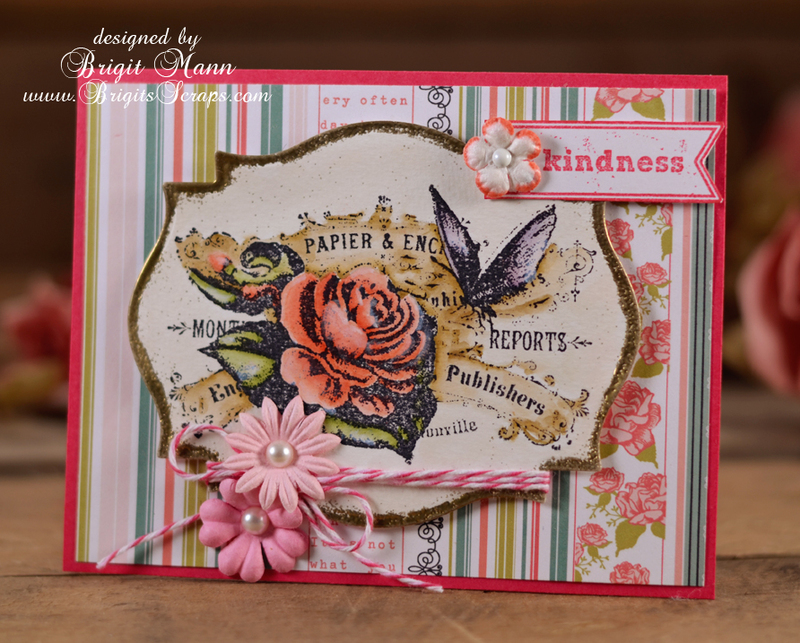 I just love anything vintage and this stamp set is all that. 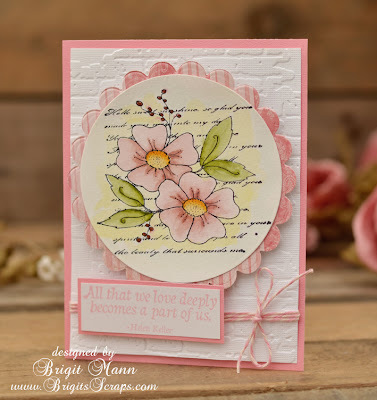 I stamped it on watercolor paper with archival black ink and colored with my Distress Markers. I wanted more of a distress look so I went around the edge very roughly with a versamark pen and embossed with gold. I'm trying to use up some of my scraps so the paper came from my scrap pile, it's Echo Parks Victoria Gardens, I love it, never gets old! The pretty Trendy Twine is Strawberry Cupcake. I've been making so many Christmas crafts that I could use a little dose of spring flowers. So when I saw this stamp in Unity's December KOTM I just wanted to make a card with it. 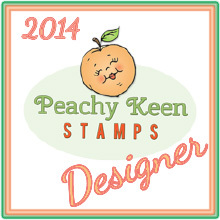 What a great stamp to use my Tim Holtz Distress Markers with too!! The stamp sentiment is also from the kit, what an awesome set this is. The pretty Trendy Twine is Posy, a light pink and cream, goes perfectly with this project. I've been neglecting my unity stamps so I organized them all today, now it's easier for me to look through and make some cards. I decided to make a valentine card using stamps from the November KOTM and one from August's. I used a touch of Black Licorice Trendy Twine on the button, the paper is older, had it in my stash for awhile now. Another photo using a vintage action in photoshop. I'm lovin' this penguin cut set that I purchased at Miss Kate Cuttables, it's just so cute. She has adorable cutting files, perfect for a card lover like myself!! 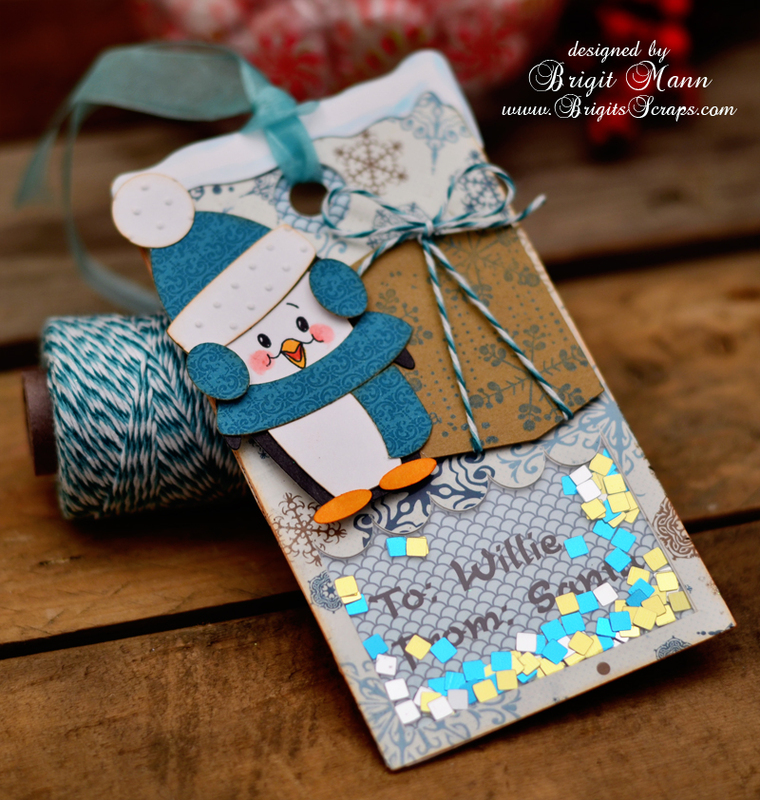 The digital paper is Wintertime from Echo Park and I used some Holly Green Trendy Twine. 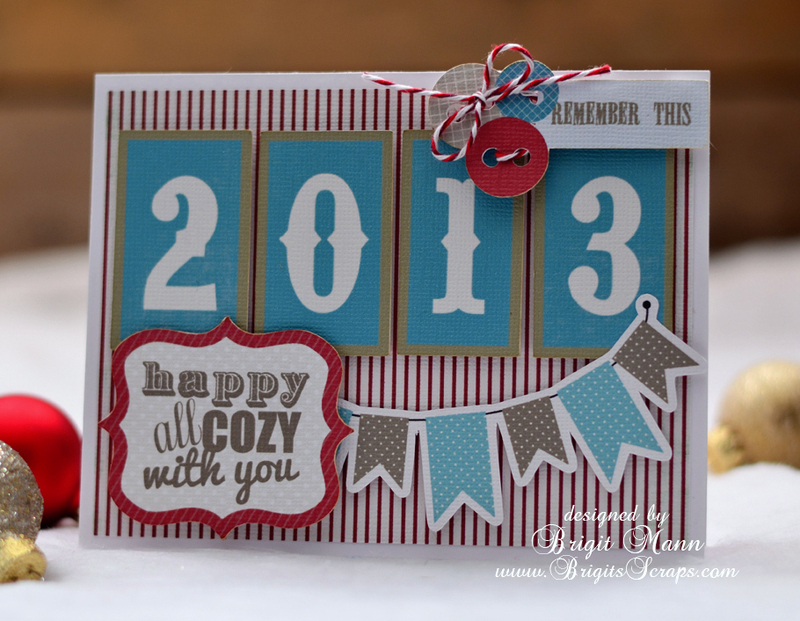 Here's a quick and easy card for New Years. 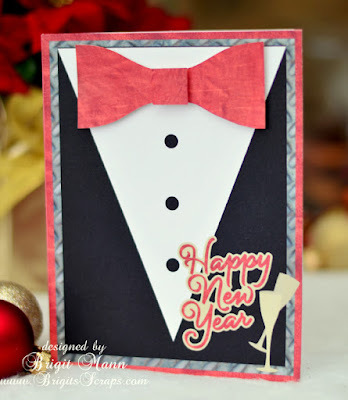 This tuxedo is from SVG Cuts newest kit New Years Eve and the Happy New Year is a freebie. I designed it in Silhouette Studio and did a print n cut and then added the bow tie which I also did a pnc. The Cameo makes this very quick and easy when you don't want to mess with a lot of layers. I made this pocket calendar for my smashbook in MTC, eCal and as an SVG which you can get here, but since I have a new Cameo and Silhouette Studio I figured I make a studio file. Plus I wanted to make something with Echo Parks Winter Wishes to enter their Facebook contest and thought this would be good print n cut practice for me. 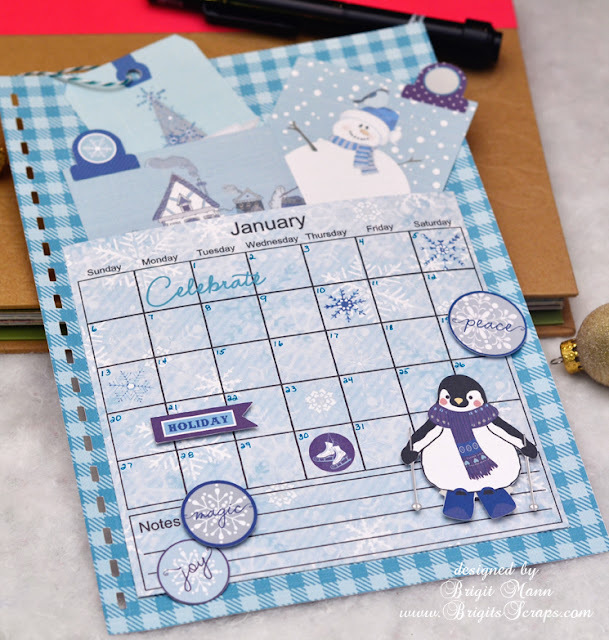 The calendar is grouped together, the template uses a background pattern from the silhouette software, to change it ungroup and select the background and change, but don't move it or everything will be off. Also ungroup the months and add to template. There are score marks just fold and glue, it fits nicely on a 7" x 10" smash book size page. I really love this template and use it often, I just marker in my days and it's done. 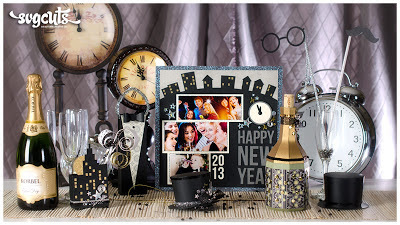 Here I cut my own page, all paper and elements are from Echo Park Winter Wishes digital collection. As you can see the silhouette cut them out beautifully, I couldn't believe the penguin ski poles, totally awesome! I figured this will come in handy to some for the new year! You can get the studio file here. 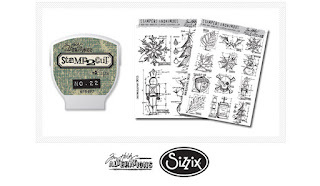 Well it's day 12 and they saved the best for last, a Sizzix Eclips, eCal Software and a $100 SVG Cuts gift card, how's that for a giveaway, totally awesome!! 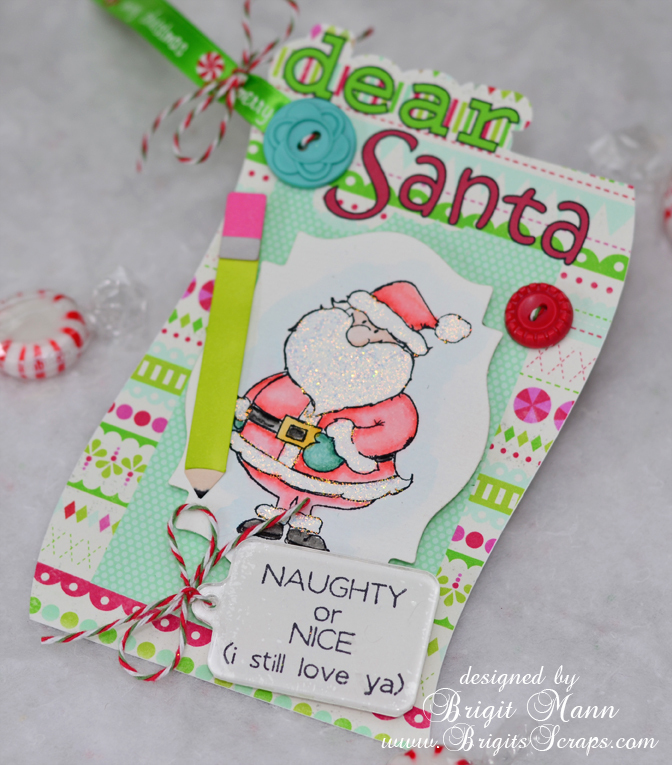 I just want to thank you all for following along with my 12 Days of Christmas Tags, I had so much fun making them all. Here's my day 12 Christmas tag to all of you, have a safe and healthy Christmas everyone!! Today 8 $25 SVG Cuts gift certificates are being giveaway, this was an easy tag today for me because most of my files used are from SVG Cuts. So here is my Day 11 Tag a shaker which I totally scrap lifted the idea from Melanie over at The Paper Retreat, just love her shaker tags, take a look here!! 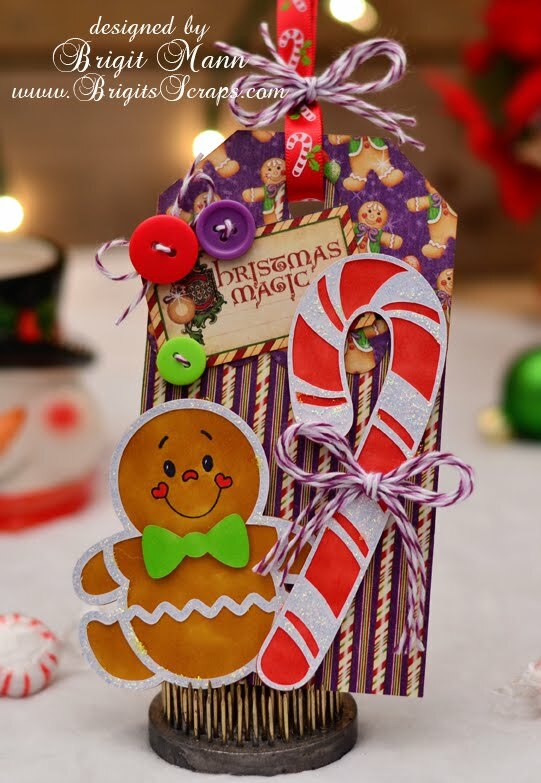 To add some fun to the shaker tag I did a print and cut on the bottom layer of the tag so the person has to shake the tag to see if it's their present! For the tag top I added a piece of acetate behind the window and cutout three more pieces and glued them together. Added some confetti to the bottom tag where the writing is and glued the top layer down. 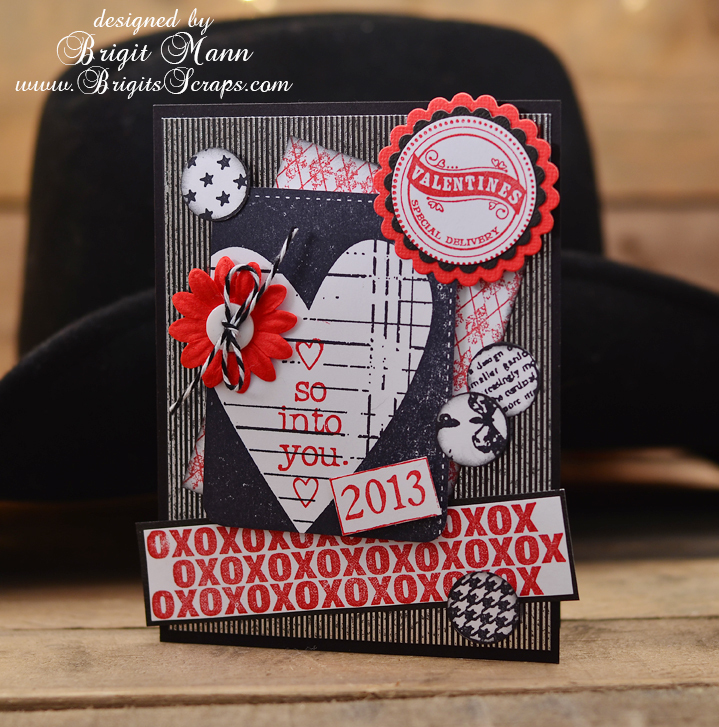 A quick and easy shaker tag! 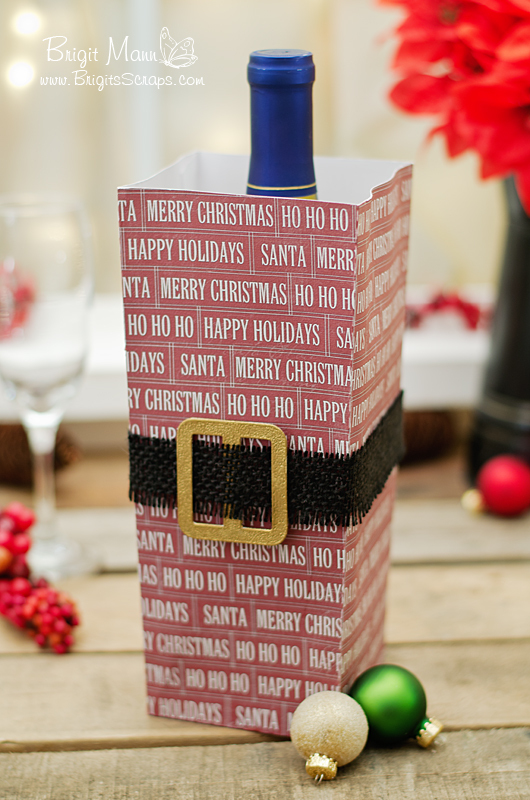 Need a cute Christmas box for that wine lover, check out my Santa Wine Box! I really enjoyed making this project and I think it really came out great! 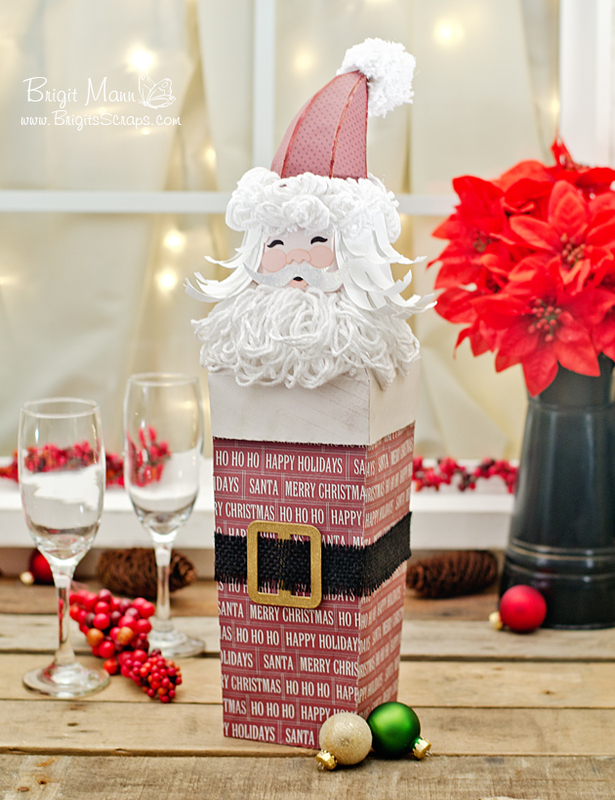 I used the wine box from SVG Cuts Classic Gift Boxes kit and just added the Santa head I created on top. I have a word and excel file you can download with directions and sizes below. The hat is the cornucopia from the Happy Thanks kit, I create the pom pom, beard and hat fringe from yarn. The head is the small pumpkin for the Pick a Pumpkin kit. 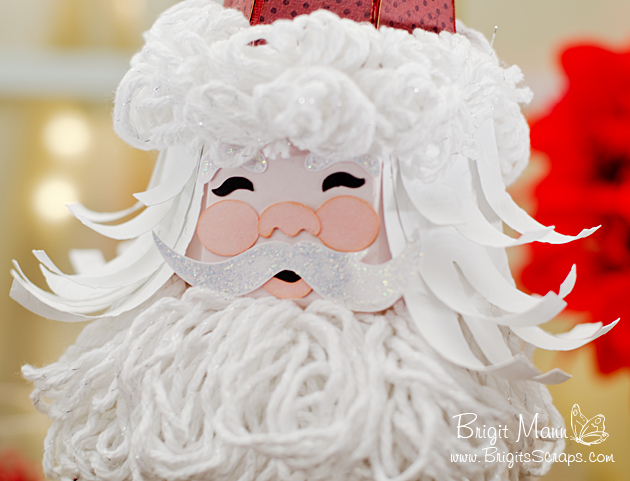 For the hair I used the nutcrackers from Clara's Christmas Eve and the face is from the Santa Card in the Open House kit. I used black burlap for his belt and the buckle is also from the Happy Thanks kit, I cutout three and glued together for added strength. The pattern paper I used is from Carta Bella's Christmas Day Collection, totally love this paper! 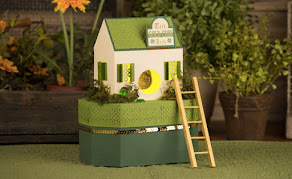 The whole project was done in Make The Cut and cutout with my KNK Zing. I love how his face came out and the hair and beard looks so awesome! Really an easy project to put together and a great way to dress up a bottle of wine! 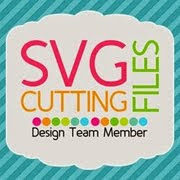 You can download the supply list and directions HERE and the SVG Cuts files used and sizes HERE. 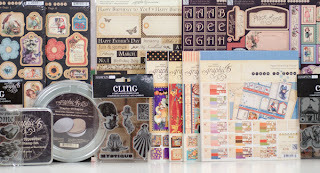 Today is the Tim Holtz giveaway at SVG Cuts facebook page!! So for my Day 10 tag I used my Tim Holtz Distress Markers which I love and I also used one of his fragment Charms to put over the sentiment. The stamps are both from Unity Stamps. The tag is really a frame that is an SVG Cuts freebie. 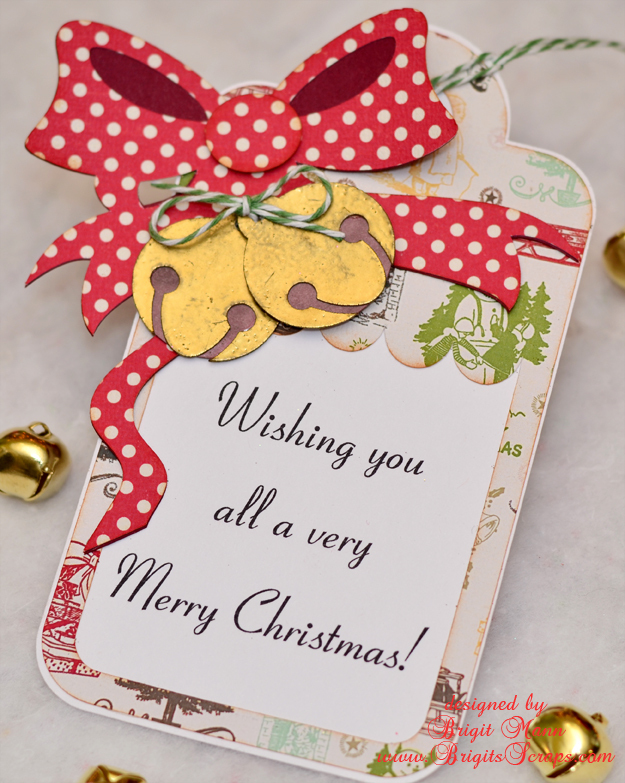 I pieced it together in Silhouette Studio, filled it with Carta Bella Merry & Bright digital paper and did a print n cut on my Cameo. I used some diamond stickles, Trendy Twine and a couple of October Afternoon buttons, done another quick tag. Just click on the picture, it will bring you to the facebook entry form. 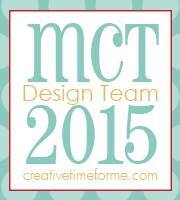 Since todays giveaway is the Silhouette Studio Designer Edition I made my Day 9 tag using SSDE and my Cameo. It's all print n cut which I love, the cameo does such a wonderful job! The file is a free printable from SVG Cuts, totally perfect for a quick and easy tag. I filled the tag with Echo Park's digital paper from the This & That Christmas collection and print n cut that out, super easy. Added some Trendy Twine a couple of buttons and a cute little flair from Empty Nester Crafts and I'm done, can't beat that! So click on the picture to bring you to the facebook page where you can enter!! 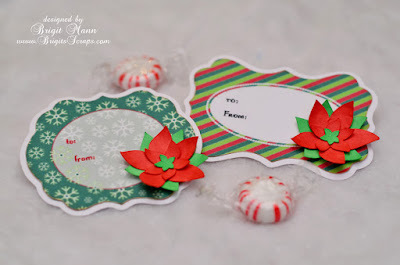 So I have two very simple tags today for Day 8 and since it's Jinger Adams giveaway day I used the free printables from her store. I used my silhouette cameo to print and cut them out and just added one of SVG Cuts poinsettias. Fast and easy exactly what I need right now. Click on the picture it will bring you to the facebook page so you can enter. 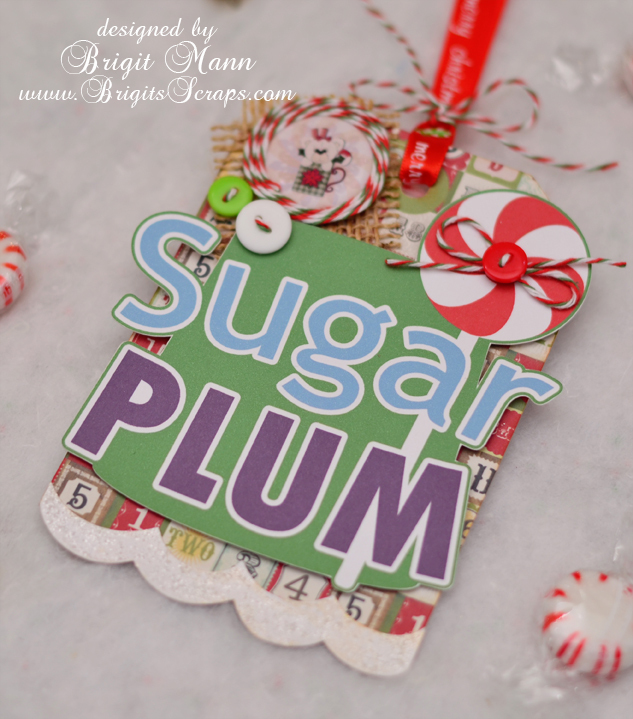 Today is day 7 and it's Punkin' Patch Stamps and Paper Play Studio giveaways, two favorites of mine, so my day 7 tag of course uses both! 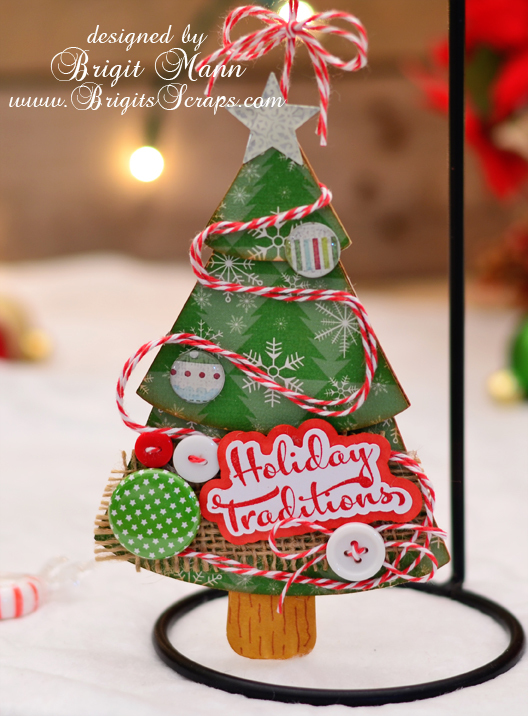 The tree is from the Shaped Christmas Cards kit and the Trendy Twine is Red Berry. I decorated it with buttons and Epiphany Craft bubble caps and a touch of burlap. So don't forget to enter, just click on the picture and it will take you too the facebook page to enter! Today's giveaway is from Unity Stamps, over $150 worth, yay! 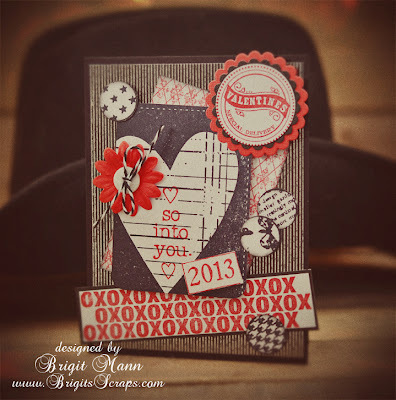 I love unity stamps and this Big Mitten Background stamp I used for my Day 6 tag is one of my favorites, it's so cute. I actually scanned it so I could make a shadow layer in eCal and then cut it out to stamp on it. 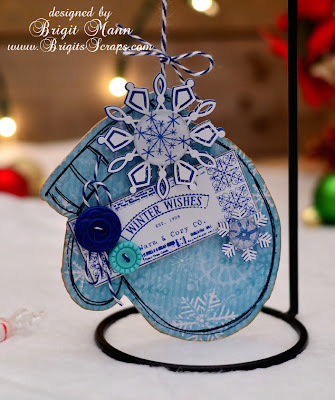 The Winter Wishes tag is from the October KOTM and I used one of the snowflakes from the Snowflake Kisses set and cut it out with an Epiphany Craft tool and placed it on the big snowflake. The paper is from Echo Parks Winter Wishes collection and the Trendy Twine is In The Navy. The two cutout snowflakes is from SVG Cuts Clara's Christmas Eve kit and the cute little buttons are from October Afternoon. Click on the picture to enter this awesome giveaway. Today is Graphic 45's bundle of goodies and a fantastic one at that!! I just love their Christmas paper Nutcracker Sweet so that's what I used for my day 5 tag. The purple is such a nice change for Christmas and it went perfectly with this Grape Fizz Trendy Twine. The gingerbread man is from SVG Cuts Christmas Cuddly Friends, the candy cane is from the Holiday Treats collection and the tag is from the Double Layer Tags Galore collection. The cute gingerbread face is a Peach Keen stamp, Winter Faces. So click on the picture and hop on over to enter for this awesome giveaway!! SVG Cuts New Kit Santa's Helpful Elves! Merry & Bright Candy Cane! !